Belle of the Ball! 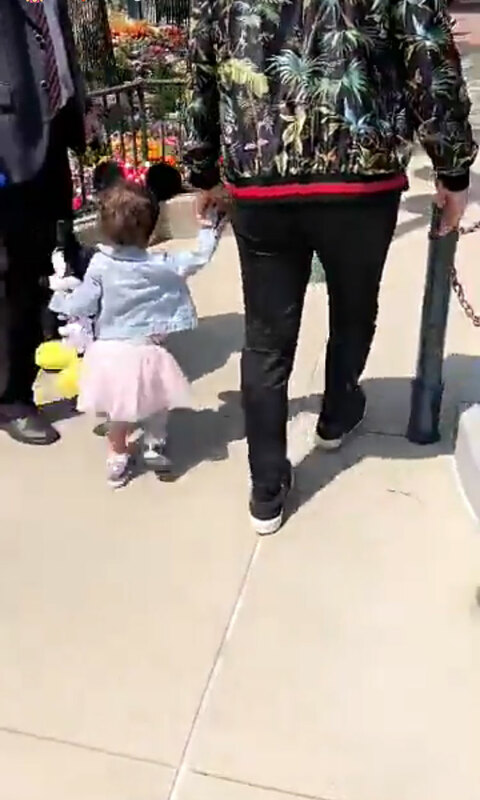 Chrissy Teigen and John Legend Take Daughter Luna to Disneyland Hong Kong - Integration Through Media ....! Days after first touching down in China together, Chrissy Teigen and John Legend took their 22-month-old daughter Luna, on a very special trip to Disneyland Hong Kong. As the happy family began their fun-filled day, Luna — clad in a pair of polka dot Minnie Mouse ears — held onto the “All of Me” singer’s hand, which Teigen, who’s currently pregnant with the couple’s second child, a son, documented on social media. Following a quick costume change, Luna exchanged her mouse ears for a pint-sized replica of the yellow gown Belle wears in Beauty and the Beast. “My belle,” the 32-year-old captioned a photo of the pair cuddling up together on the trip. Legend also posted a picture with his little princess, as she sat on his lap and marveled at the sights around her. “It’s a small world after all!” he wrote alongside the sweet snap. The proud parents also took the time to snap a selfie of themselves on their latest overseas adventure. Following their arrival in Asia, Teigen shared some adorable shots of her husband catching some z’s in a chair with their little girl, clad in just a diaper, also snoozing on his chest. “How cute is this?” Teigen mused in a video shared to her Instagram story showing the sweet father-daughter scene. The cuteness was also worth a post that lasts longer than 24 hours, so she shared another shot of the sleepyheads to her account on the social media site.